The 8 most ridiculous beauty trends we're seeing right now! Home / Makeup / The 8 most ridiculous beauty trends we’re seeing right now! 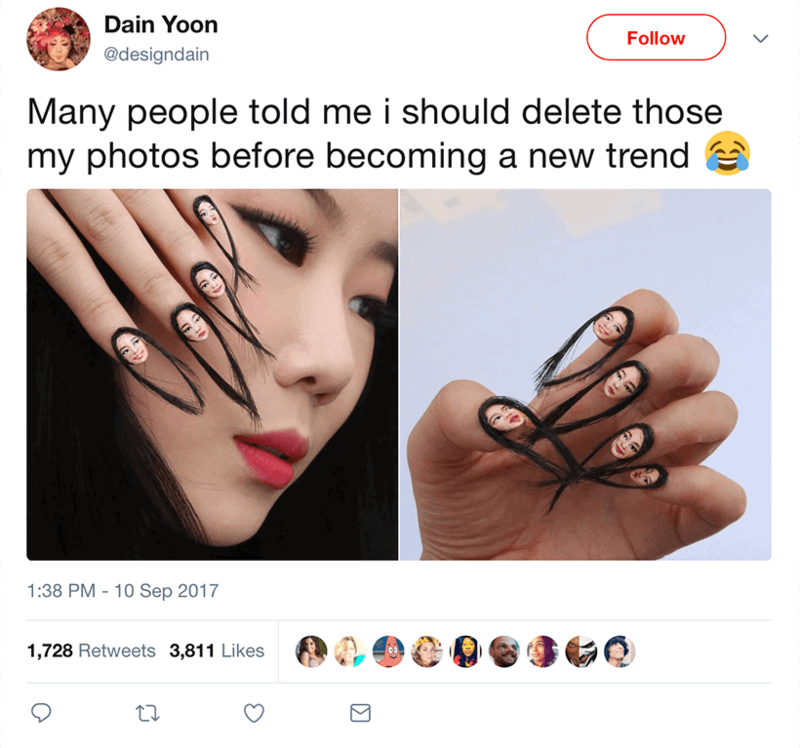 The 8 most ridiculous beauty trends we’re seeing right now! There’s creativity. And there’s downright ridiculous. Ridiculous scary. Ridiculous dangerous. Ridiculous puke-worthy. To each their own, but I don’t see myself getting on-board with these ridiculous beauty trends. I mean, how are these even actual things? I have so many questions about this one, don’t know where to begin. Do you wear hair nets on your nails while working in the kitchen? Or while eating? And what happens in the bathroom? Don’t you feel weirded out by having someone’s hair on your nails? What’s the upkeep? How long does it even take to do this? And why? This is one of those moments when a picture speaks a thousand words. So am going to leave you hair here with it. First there was Botox for the forehead. Then came Botox for the armpits. And now women are getting upwards of 200 Botox injections in their scalp to make their blow dries last longer. That’s 200 needles going into your scalp. Topped up every six months. At about $2,000 per session. Am I the only one who finds this both ridiculous and frightening? The logic (if you may call it that): Nicknamed Blotox (Botox + Blow-dry, geddit? ), these injections prevent communication between the endocrine glands and nerve endings, to prevent your scalp from sweating. And voila! No sweating means hello to a longer blow dry and goodbye to frizz. Making Blotox a big hit with women who hate their SoulCycle sessions mess up their blowouts. I just can’t. Why would you have what looks like a hairy bug crawling out of your nostrils? And the fact that it’s not actual hair but a set of false eyelashes does nothing to make me feel better. I can’t believe this is actually trending. It’s safe to say that 2017 has been the year for creative brows. Some have been fun, others funky and yet others fairly ridiculous. But it’s the latest one from brow queen Sofie Peterson (who’s previously experimented with gilded chains, barbed wire and safety pins) that’s polarising Instagram right now. Peterson used Vaseline on a spoolie to brush her brow hairs into a crown shape, then held them in place with rhinestones. Some find it party perfect. Others call it a cry for attention. Without reading anything psychological into the exercise, I just find it plain avoidable. Maybe that’s just me? Why should women have all the fun? Ta-da! 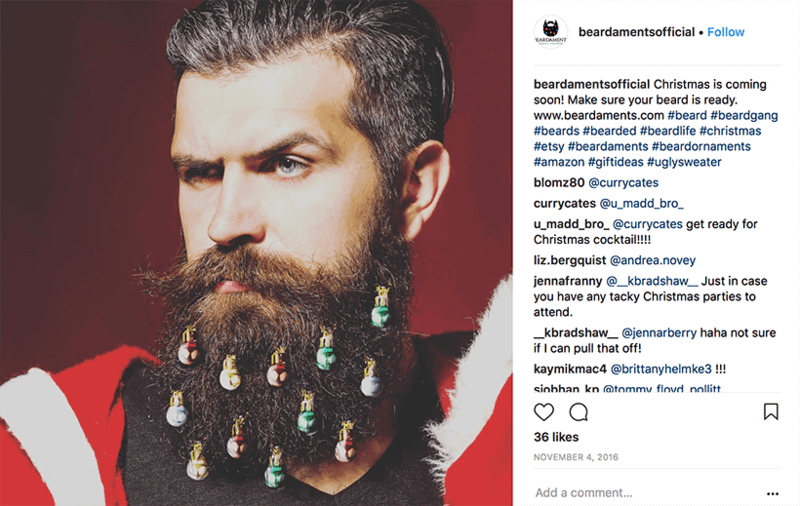 Presenting beard ornaments (or beardaments, for short): Miniature baubles with beard-friendly clasps that makes them perfect for attaching to facial hair. Looking for something tamer? Grab some Glitterbeard Glitter for your beard and glitz on! Seriously, exactly how bored do you have to be before starting to think up makeup for your ears. Yes, ears. What’s next? The back of your neck? Contouring your feet – wait, we’ve done that as well! Sincere advice: Not every part of our body needs makeup. Nails that ooze pus, like a popped pimple? Brb, am just going to go throw up. I am also for happy-inducing glitter but on my tongue? No, thank you very much. Not only does it look ridiculous, let it travel down the stomach and you’re setting yourself up for some scary digestive issues, stomach aches and blockages. Worth it for the price of that Instagram, shot? 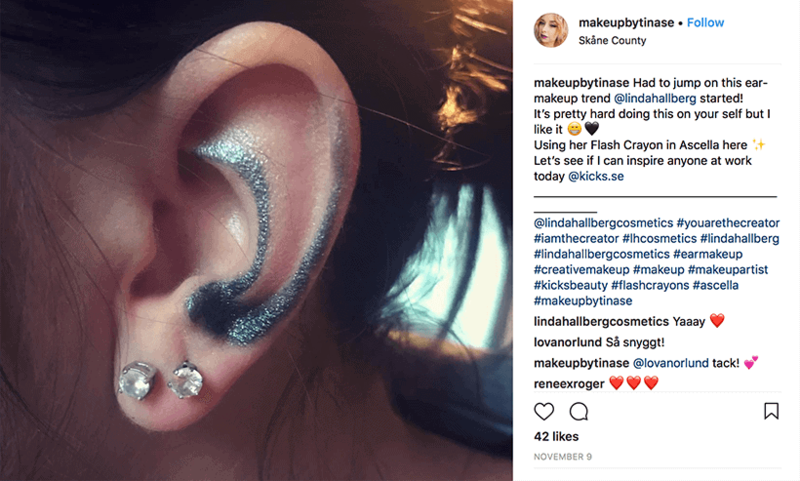 What are the most ridiculous beauty trends you’ve ever had the misfortune of seeing? « Is Fenty Beauty by Rihanna really worth the hype? The nose hair extensions are quite yuck.